Rarely do the physical and the spiritual agree. But it is only in the matter of the blood that there seems to be an understanding and connection between them. The blood is the currency of value in the spirit realm, and the life we live in the physical realm is in the blood. Therefore, the blood is of universal importance to both realms. 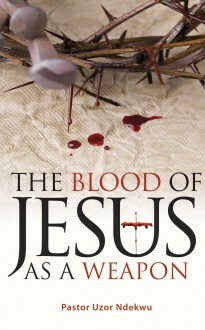 In this book, Pastor Uzor Ndekwu explains the limited role of blood in the Old Testament and the comprehensive deliverance package in the Blood of Jesus in the New Testament. He equally draws from his many years of experience as both Deliverance Minister and Counsellor to explain how the blood of living creatures can be used by demonic powers to hinder the destinies of people.